This section defines groundwater and aquifers and discusses the physical properties of soils, liquids, vadose zones, and aquifers. 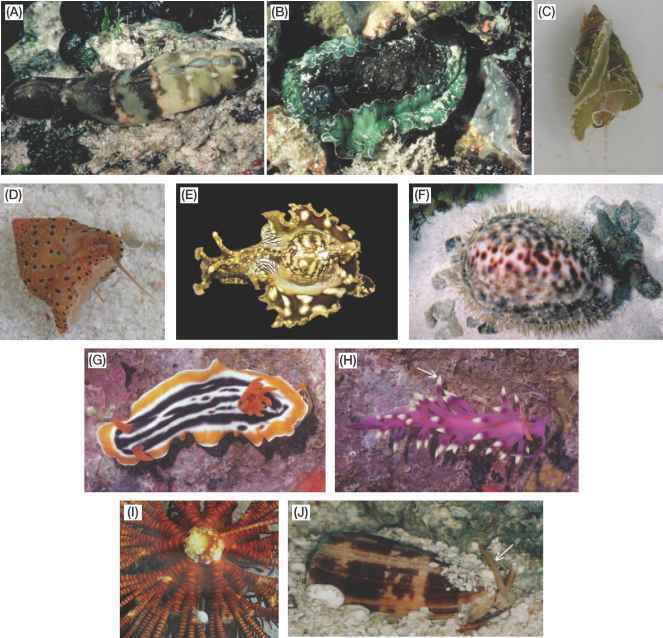 Water exists in various forms in various places. Water can exist in vapor, liquid, or solid forms and exists in the atmosphere (atmospheric water), above the ground surface (surface water), and below the ground surface (subsurface water). Both surface and subsurface waters originate from precipitation, which includes all forms of moisture from clouds, including rain and snow. A portion of the precipitated liquid water runs off over the land (surface runoff), infiltrates and flows through the subsurface (subsurface flow), and eventually finds its way back to the atmosphere through evaporation from lakes, rivers, and the ocean; transpiration from trees and plants; or evapotranspiration from vegetation. This chain process is known as the hy-drologic cycle. 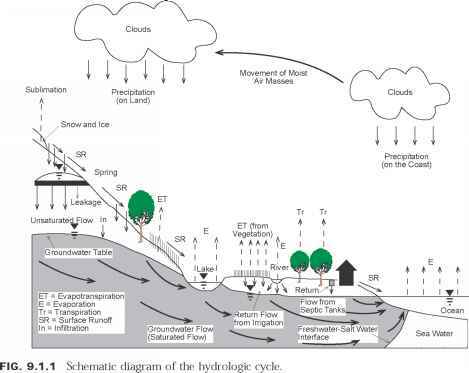 Figure 9.1.1 shows a schematic diagram of the hydrologic cycle. Not all subsurface (underground) water is groundwa-ter. Groundwater is that portion of subsurface water which occupies the part of the ground that is fully saturated and flows into a hole under pressure greater than atmospheric pressure. If water does not flow into a hole, where the pressure is that of the atmosphere, then the pressure in water is less than atmospheric pressure. Depths of ground-water vary greatly. Places exist where groundwater has not been reached at all (Bouwer 1978). The zone between the ground surface and the top of groundwater is called the vadose zone or zone of aeration. This zone contains water which is held to the soil particles by capillary force and forces of cohesion and adhesion. The pressure of water in the vadose zone is negative due to the surface tension of the water, which produces a negative pressure head. Subsurface water can therefore be classified according to Table 9.1.1. Groundwater accounts for a small portion of the world's total water, but it accounts for a major portion of the world's freshwater resources as shown in Table 9.1.2. Table 9.1.2 illustrates that groundwater represents about 0.6% of the world's total water. However, except for glaciers and ice caps, it represents the largest source of freshwater supply in the world's hydrologic cycle. Since much of the groundwater below a depth of 0.8 km is saline or costs too much to develop, the total volume of readily usable groundwater is about 4.2 million cubic km (Bouwer 1978). Groundwater is contained in geological formations, called aquifers, which are sufficiently permeable to transmit and yield water. Sands and gravels, which are found in alluvial deposits, dunes, coastal plains, and glacial deposits, are the most common aquifer materials. The more porous the material, the higher yielding it is as an aquifer material. Sandstone, limestone with solution channels, and other Karst formations are also good aquifer materials. In general, igneous and metamorphic rocks do not make good aquifers unless they are sufficiently fractured and porous. Figure 9.1.2 schematically shows the types of aquifers. The two main types are confined aquifers and unconfined aquifers. A confined aquifer is a layer of water-bearing material overlayed by a relatively impervious material. If the confining layer is essentially impermeable, it is called an aquiclude. If it is permeable enough to transmit water vertically from or to the confined aquifer, but not in a horizontal direction, it is called an aquitard. An aquifer bound by one or two aquitards is called a leaky or semiconfined aquifer. Confined aquifers are completely filled with ground-water under greater-than-atmospheric pressure and therefore do not have a free water table. The pressure condition in a confined aquifer is characterized by a piezometric surface, which is the surface obtained by connecting equilibrium water levels in tubes or piezometers penetrating the confined layer.